One of the local home businesses that I truly admire is Cake Story. Their desserts are amazing, their packaging is gorgeous, and their service is friendly and reliable. 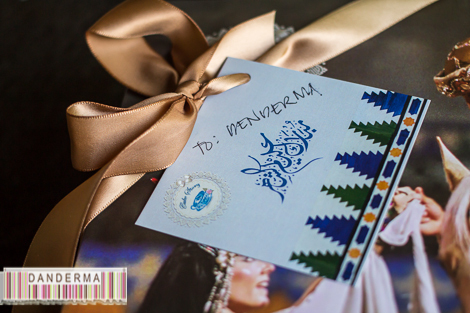 Last week I received a box of their special edition Ramadan desserts, and the box itself was telling an Arabian love story! 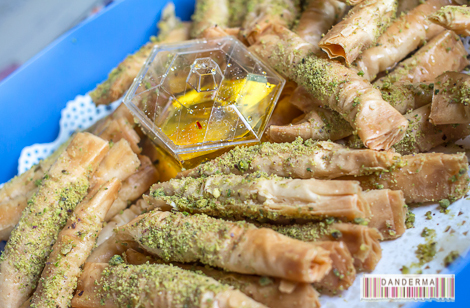 Inside the box were four dozens of their newest Ramadan dessert they call Ali Baba. 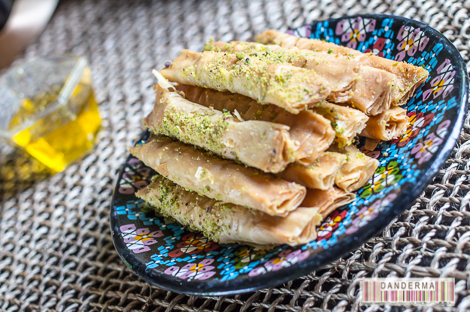 Rolls of filo pastry sheets, rolled around a mix of ground nuts, friend and topped with pistachios and comes with a side of sheera -saffron sugar syrup-. 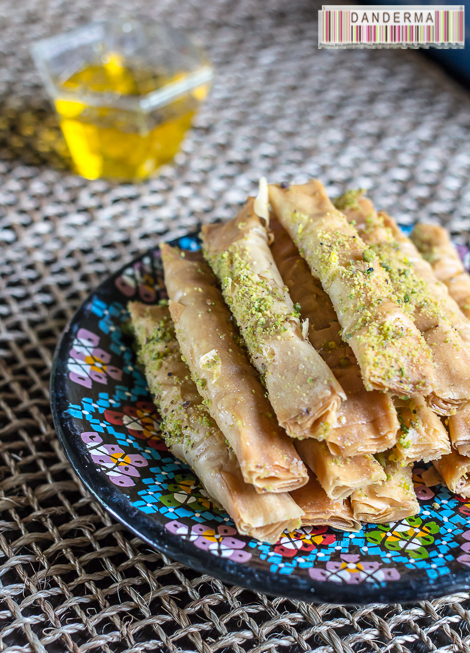 The Ali Baba pieces are crunchy, the mix of ground nuts is unusual and tastes like rahash or peanut butter, a tad salty and goes very well against the sweetness of the sheera. 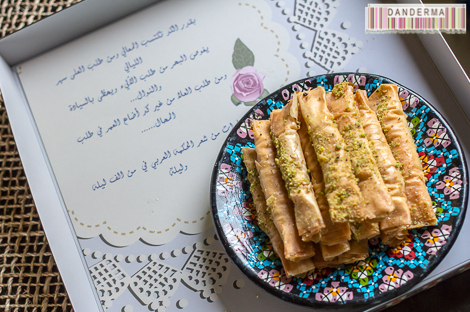 One more detail, and the attention to details is what sets Cake Story apart from the other local home businesses, the inside of the lid of the Ali Baba box is printed with an Arabian poem from one thousands and one nights! How thoughtful. 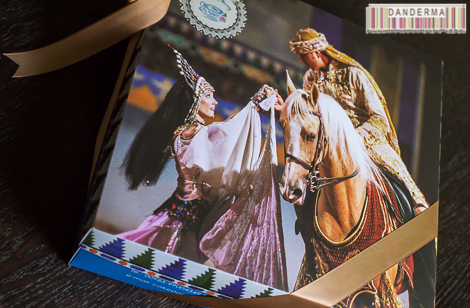 Thank you Cake Story for the Ali Baba box! Keep up the good work, mbarak 3lekom el shahar o 3asakom min 3owadah. 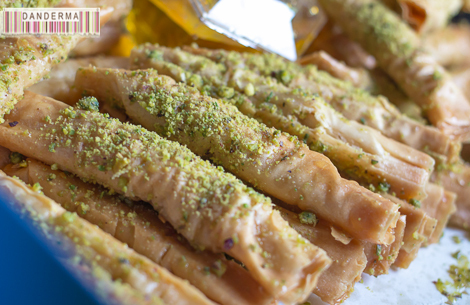 Ali Baba will be available during the month of Ramadan. To order the Ali Baba or to view the rest of Cake Story’s goodies and to order you can call them on +(965)-99004349, follow them on twitter (@CakeStory2012) or on instagram (@CakeStory).